HÀ NỘI — Argentina’s U20 squad will play two friendly matches in Việt Nam next month, Việt Nam Football Federation (VFF) general secretary Lê Hoài Anh confirmed yesterday at a press briefing in Hà Nội. The former world champions will take on the host’s U20 team on May 10 at HCM City’s Thống Nhất Stadium and the U22 side at Hà Nội’s Mỹ Đình Stadium four days later. These games will serve as warm-up matches for all three teams, as the first two are going to compete at the FIFA U20 World Cup in South Korea next month and the latter one will play the Asian U23 Championship’s qualifier at home in July and the Southeast Asian Games in Malaysia in August. Following the list sent to VFF, all 21 Argentinean players under coach Diego Romagnoli who will participate in the Korean event will arrive in Việt Nam on May 8. “They are the best Argentina has at present. A match against them will be a huge test for Việt Nam prior to the World Cup, a competition that we have reached for the first time in history,” Anh said. “We hope to play good matches so that Việt Nam becomes a destination for international teams in the future,” he added. Among the visiting players, the most wanted is undoubtedly 20-year-old Ezequiel Ponce, who is competing for Spanish La Liga’s Granada FC. Ponce made a huge bang in the transfer market with the announcement of his signing with Italian Serie A’s Roma FC from local Newell’s Old Boys for a fee of 4.2 million euros (US$4.5 million) in 2015. In his first season with Roma, he played in the youth squad, winning the title of the youth league and scoring nine goals in 10 matches. He is now on loan contract to Granada for one year. Lucas Rodriguez is another player to watch. The 19-year-old, playing for Estudiantes de La Plata FC, is known for his skillful technique, such as dribbling, through ball and defensive contribution. He has a keen sense of the competition and often scores as a midfielder. Marcelo Torres, a Boca Juniors player, is a sharp striker. He has scored seven goals in nine matches for Argentina during the World Cup qualifier. Argentina are considered a powerhouse in the world -- not just the senior team, but also the youth squad. They have taken part in 14 U20 World Cups since 1979 and brought home six trophies. Through these competitions, many legends have been discovered, such as Diego Maradona (Most Valuable Player of the 1979 World Cup), Javier Saviola (MVP and best scorer of the 2001 Cup), Lionel Messi (MVP and best scorer of the 2005 Cup) and Sergio Aguero (MVP and best scorer of the 2007 Cup). On the host side, Việt Nam’s U20 team are undergoing their two-week training course in Germany where they will also play matches with local clubs’ youth squads. They will return home next week. The U22 team will gather on May 3. 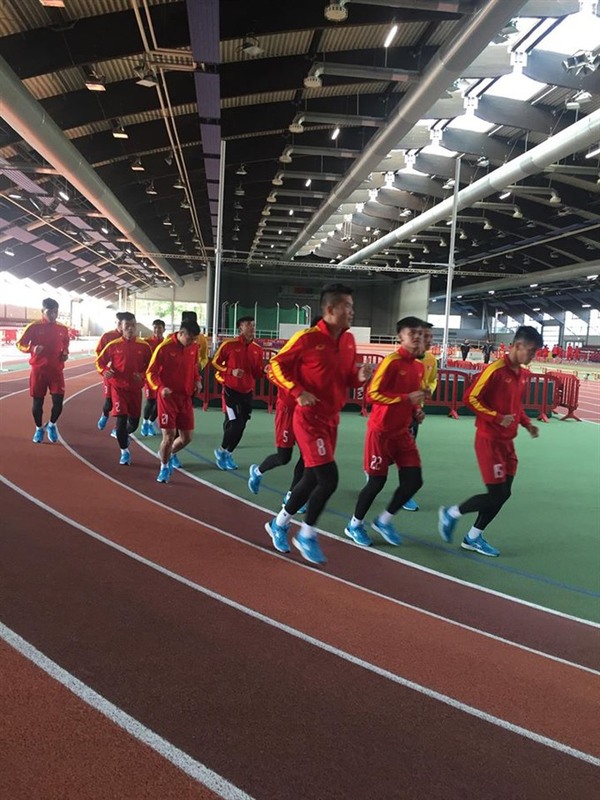 They will have 10 days to prepare for the friendly match.